What is the U15 pill? The pill with imprint U15 is identified as acetaminophen and oxycodone hydrochloride in the strength of 325 mg / 5 mg respectively. It is of white color and capsule shaped. The main supplier of this medicine is Aurolife Pharma LLC. This combination medication is used for the treatment of chronic pain and comes under the narcotic analgesic combinations. The risk of this drug cannot be ruled out during pregnancy. Labeler / Supplier: Aurolife Pharma LLC. Oxycodone occurs as a white, odorless, crystalline powder having a saline, bitter taste and is a known semi-synthetic opioid analgesic. 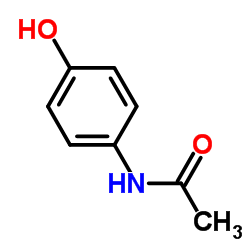 Acetaminophen is a slightly bitter, white, odorless, crystalline powder, categorized as a non-opiate, non-salicylate analgesic and antipyretic. Drug class: This compound belongs to the class of organic compounds known as phenanthrenes and derivatives. These are polycyclic compounds containing a phenanthrene moiety, which is a tricyclic aromatic compound with three non-linearly fused benzene. 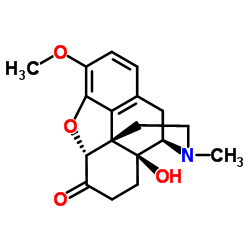 Drug class: These compounds belong to class of organic compounds known as 1-hydroxy-2-unsubstituted benzoids. U15 pill contains oxycodone and acetaminophen as a combination which is indicated for the relief of moderate to moderately severe pain. Acetaminophen/Oxycodone 325 mg/5 mg is categorized as a Schedule 2 controlled substance under the Controlled Substance Act (CSA). This drug possesses a high potential for drug abuse. What are different brand names for acetaminophen/oxycodone combinations? Generic oxycodone/acetaminophen is covered by almost all Medicare and insurance plans. However, you may also find some lower pharmacy coupons or cash prices. The most common version of oxycodone /acetaminophen is of around $22.31, which is 79% off the average retail price of $104.69 and lowest price at GoodRx. Our central nervous system contains mu, kappa, and delta opioid receptors and Oxycodone acts as a weak agonist on these receptors. Oxycodone primarily binds on the mu-type opioid receptors and stimulates the exchange of GTP (Guanosine triphosphate) for GDP (Guanosine Diphosphate) on the G-protein complex. Subsequently, the inhibition of GABA, dopamine, acetylcholine, and noradrenalin takes place. Opioids also close the calcium channels which are voltage operated and open the potassium channels which results in the hyperpolarization and reduced neuronal excitability. U15 pill comes under Schedule 2 controlled substance. Acetaminophen is less likely to cause dependence but oxycodone possesses abuse liability similar to morphine. These are the substances which are used in analgesia and can be abused to a higher extent. This medication should not be stopped abruptly because it can cause severe withdrawal symptoms. Absorption and distribution: The mean absolute oral bioavailability of oxycodone is reported 87%. It is bind to human plasma protein in vitro about 45%. The enzyme CYP2D6 metabolizes the oxycodone to oxymorphone. After a single oral dose of oxycodone, the free metabolites such as noroxycodone, conjugated oxycodone and oxymorphone are excreted in human urine. Approximately 8% to 14% of the dose is excreted as free oxycodone over 24 hours after administration. After oral administration of acetaminophen, its metabolism and excretion are rapid and almost complete from the GI tract. It will take 4 hours for complete absorption of the drug and is relatively distributed throughout the body fluids. Cytochrome P450 microsomal enzyme is responsible for the metabolism of the acetaminophen in the liver. How long U15 stays in the system? A combination of acetaminophen and oxycodone is present in the U15 pill. Acetaminophen has a half-life of 2.5 hours to 3 hours, whereas oxycodone has the elimination half-life of 3 to 4 hours. The complete elimination time of a drug is 5 times to that of the half-life of a drug, therefore acetaminophen will completely eliminate from your body in 1 to 2 days and oxycodone will completely eliminate in around 2 to 3 from your body.